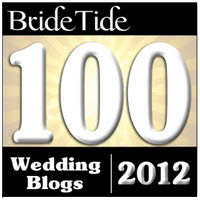 Don't forget to enter the Wedding Website giveaway from WeddingJoJo here on the Relentless Bride Blog! SHOP.COM is currently offering a "Honeymoon Shopping Spree" giveaway on InStyleWeddings.com One lucky couple will win a $1,000 honeymoon shopping spree on SHOP.COM. The sweepstakes runs now through December 4. Want to be on AOL? ***Do you or your friends/parents have a romantic, amazing, silly, funny, or creative proposal story? Stick Figure Productions and AOL are looking for couples (ALL AGES) to share their unique story for a new show “Pop the Question.” We would LOVE to hear your romantic tale! If you are in NYC or the surrounding area and would like the opportunity to share your UNIQUE story on camera please send a brief summary along with a photo and your contact information ((name, age, location, years married, and phone number)) to engagementstorycasting@gmail.com Make sure to tell them the Relentless Bride sent you! They are casting IMMEDIATELY! " Looking for volunteers for a study of attitudes towards marriage and parenthood among engaged couples. The study consists of a 25-30 minute online survey. To qualify for the study, you must be 20-35 years old, live in the U.S., and plan to marry or have a commitment ceremony within the next 365 days. You and your romantic partner must not have children, and this must be the first marriage for both of you. "I am working with Dr. Charlotte J. Patterson, a Professor of Psychology at the University of Virginia. This study has been approved by the University of Virginia Institutional Review Board #2009025800. If you and/or your romantic partner are interested in participating or want further information, please email me at survey.couples@gmail.com. I will send you a link that you can use to access the study." aw drats.. this is perfectly us, except he's been married before. We fit but we're getting married Dec. 4 of 2010, just a weee bit over 365 days! You are so on top of it with all the info you provide! I left you a little something on my blog tonight which I do not believe you may have ever received? Did a little search on your site and didn't see it so have fun! 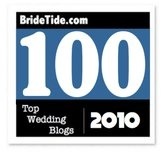 Left you an award over my blog!! !